Product Consists : Ethnic German Silver and Grey Diamond Studded on Necklace. On this Mothers Day take a moment to send your mother a unique lovable gift that will remind her of how much you love her. Warm wishes for a Happy Mothers Day. But, instead, I will say a happy prayer that we are here together to celebrate this Mothers Day. Gift your mother with lots of love on this mother by sending them exclusive gifts of Giftacrossindia. 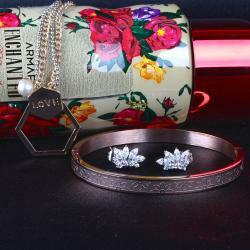 Give a super surprise to your mother on this mother by sending lovely gift Pack which contains a very stylish and trendy look Necklace, it will be a perfect gift on this Mothers Day. This Necklace comes in matte finish of German Silver Color with matching gray diamond studded in it. 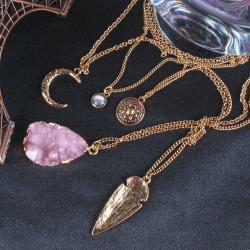 This looks so pretty when its wear with ethnic dress or indo western dresses. So, why are you awaiting for book your order now and surprised your love lady. 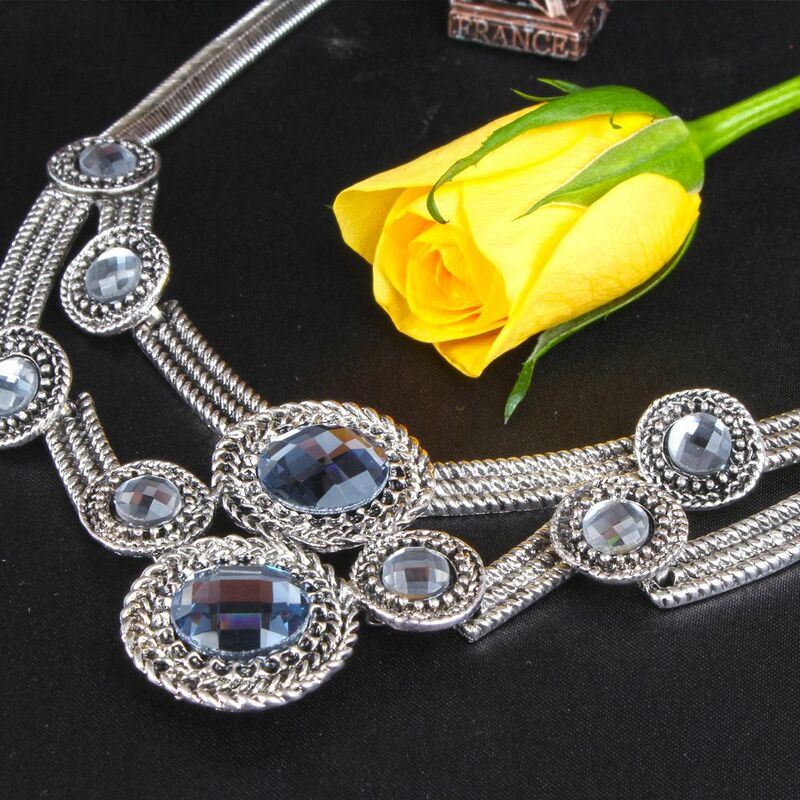 Product Includes: Ethnic Necklace in German silver color and Grey Diamond Studded on it.